(JTA) — The Jewish community in Parkland, Florida, held a healing service after a mass shooting at a high school attended by many of the teenagers in the community. Rabbi Bradd Boxman of Kol Tikvah, a Reform congregation in the town inland from Boca Raton, said he knew of at least four Jewish high school students among the wounded, including three from his congregation. They were in area hospitals and had undergone surgery. Local 10 News, an ABC affiliate, named one of the dead students as Jaime Guttenberg, who was Jewish. “A huge number went to that school,” Bosman said of his congregants. 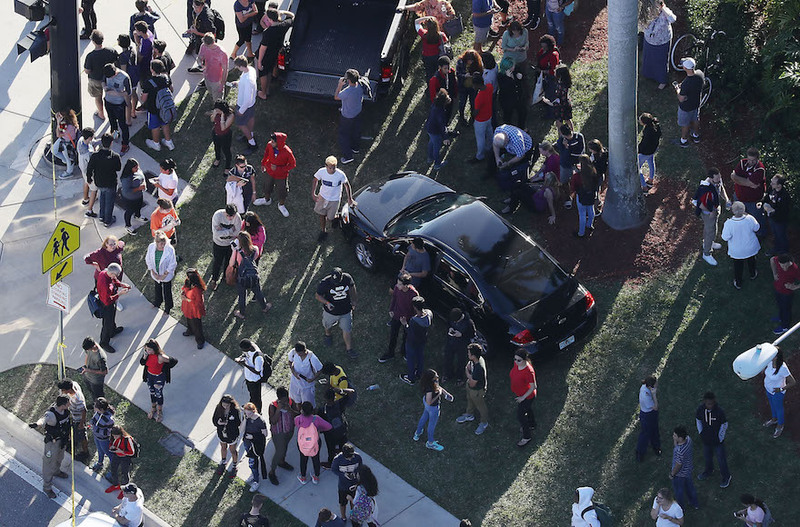 A gunman identified as Nikolas Cruz, 19, armed with a semiautomatic rifle killed at least 17 people at Marjory Stoneman Douglas High School on Wednesday, police said. Another 17 wounded were in local hospitals, The New York Times reported. Cruz, a former student at the school who was expelled, was in custody. Health professionals who gathered at Kol Tikvah walked the high school students through the beginning stages of coping with the trauma, Boxman said. 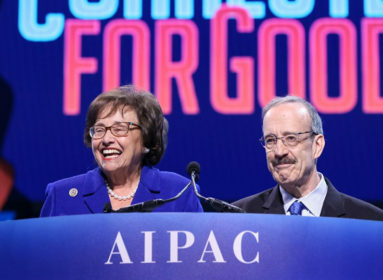 “We just pulled together as a community, the surrounding congregations, to be there for our kids and families, getting the kids to have an opportunity to speak to their experience and begin the healing process in the community,” said Geri Pomerantz, the president of Kol Tikvah. The session lasted 3 1/2 hours, and was organized by Kol Tikvah and other synagogues from nearby towns, as well as the local Jewish federation. Rabbi Jonathan Kaplan of the nearby Temple Beth Chai spent the evening at the local Marriott Hotel, where parents had gathered to reunite with their children, counseling parents whose children are still missing. One child from Kaplan’s congregation is among the dead, and another is missing. Beth Chai plans to hold a service Thursday in response to the shooting. Kol Tikvah will also open up to families on Thursday, as schools in Parkland will be closed, Boxman said.